At King Insurance, we’re committed to providing insurance solutions that keep small- to medium-sized businesses fully protected. We combine various coverage options into one convenient package with more benefits than a typical business policy and better savings overall through competitive pricing. A Business Owners Policy (BOP) from King Insurance allows entrepreneurs to create a customized insurance policy that combines property, commercial general liability, and crime insurance with any additional coverage types based on their business’ particular needs. Is BOP Insurance Right For Your Business? Since Business Owners Policies apply only to special types of businesses with specific needs, operations, and risks, it’s important to contact a specialist at King Insurance who can help you determine whether a BOP is right for your small- or medium-sized business. At its core, a BOP bundles business property and business liability coverage into one policy. This allows the business to save money while still receiving broad coverage with essential protections against fire, lawsuits, loss of income, theft, and more. A BOP doesn’t cover auto insurance for business vehicles, professional liability, or workers’ compensation. King Insurance can help you add other types of coverage to your BOP to suit your company’s particular needs. Any small- to medium-sized business, such as an independent contractor, retail store or restaurant, can benefit from a BOP. While this answer seems trite, most small- to medium-sized businesses have limited or no additional means to stay in operation if a fire, flood, or lawsuit against the business occurs. A BOP protects your business and interests if these hypothetical situations become reality. If there are assets that could be damaged or stolen, such as cash, customer data, digital assets, equipment, furniture, and/or inventory. 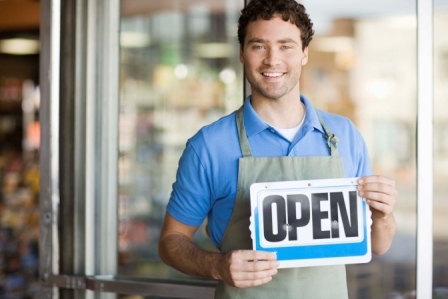 What does a Business Owners Policy typically include? Business income, commercial property, and general liability insurance are the three types of coverage most commonly included in a BOP. Nonetheless, King Insurance can tailor any BOP to meet the specific needs of your business. Contact us today to learn more! This type of insurance helps replace lost income if business operations are suspended because of a covered loss. The coverage can help meet payroll, rent, and other financial obligations that ensue. This coverage safeguards the property housing your business, whether owned or rented. Along with the building itself, equipment, fixtures, furniture, and inventory inside are covered.